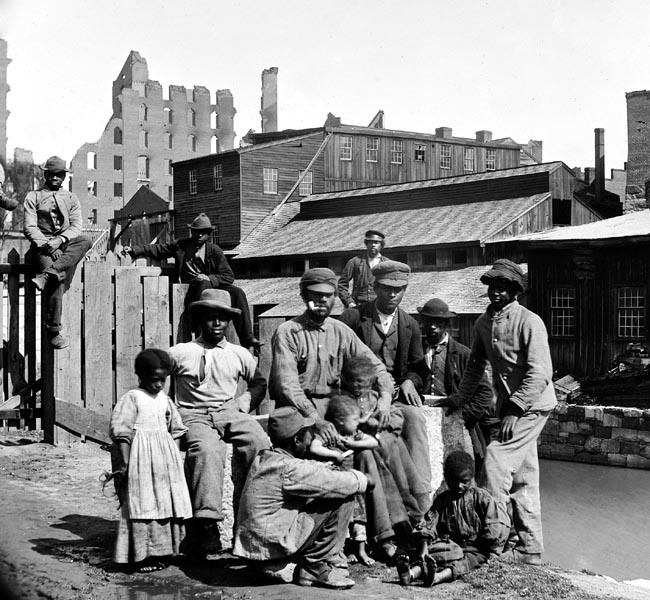 This is a photograph slaves in Richmond, Virginia. The photograph appears to be taken shortly after the fall of Richmond, in April, 1865. The picture appears to be of a family, but only men and children are seen . . . the fate of the mother is unknown. The photograph was undoubtedly taken shortly after these people obtained their freedom. The ruins of Richmond can be seen in the background.